Use the filters to quickly find artists and makers. 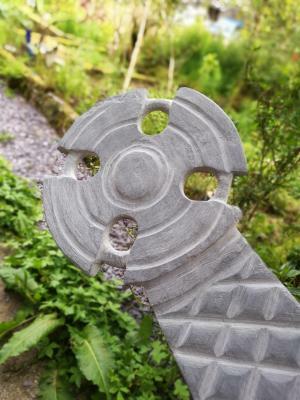 I take a redundant Welsh roofing slate and give it a new lease of life as a vase, clock or pendant, making it as smooth as a sea-washed pebble, with a shimmering sheen of grey or purple. Aberystwyth Arts Centre shop, Aberystwyth. Only genuine reviews may be published, and all reviews are subject to an administrators approval. Any review is subject to approval, and we reserve the right to choose whether or not to publish. Any review that is likely to cause offence will not be published. Any response that that is likely to cause offence will not be published. Please contact the site administrator if you have any questions regarding reviews or responses. Please note your IP address is recorded. Offensive or abusive messages will result result in the IP address being blocked and reported.